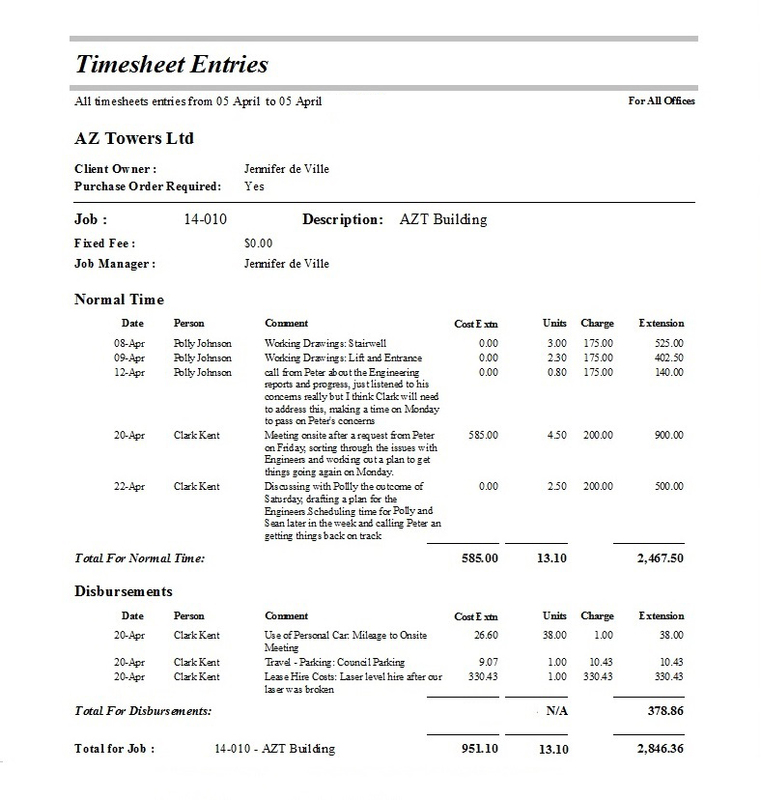 Timesheet Entries report filters – AbtracOnLine. 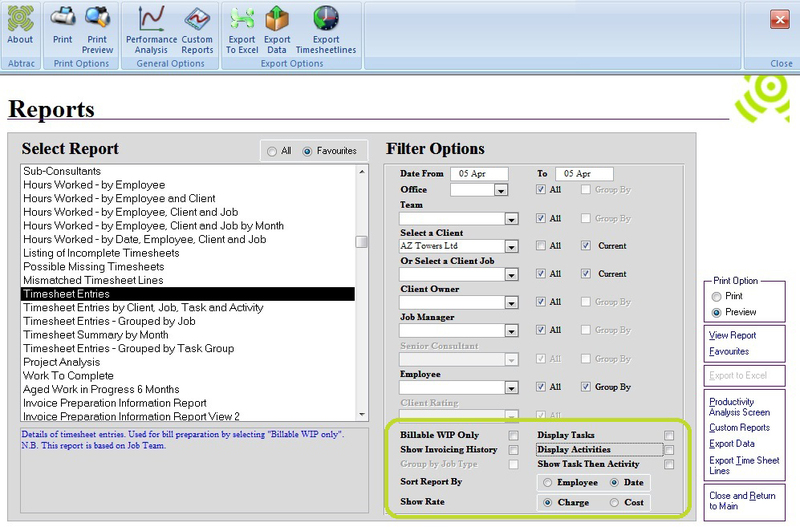 Tick “Billable WIP” to show all the outstanding/unbilled timesheets – you will then only be able to choose a ‘Date To’. 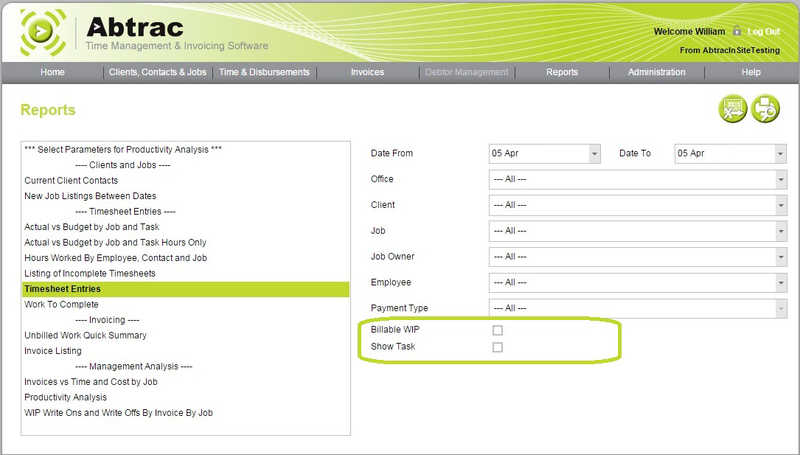 Tick “Show Task” to group the timesheet entries by specific job/project tasks. Tick “Billable WIP Only” to show all the outstanding/unbilled timesheets – you will then only be able to choose a ‘Date To’. 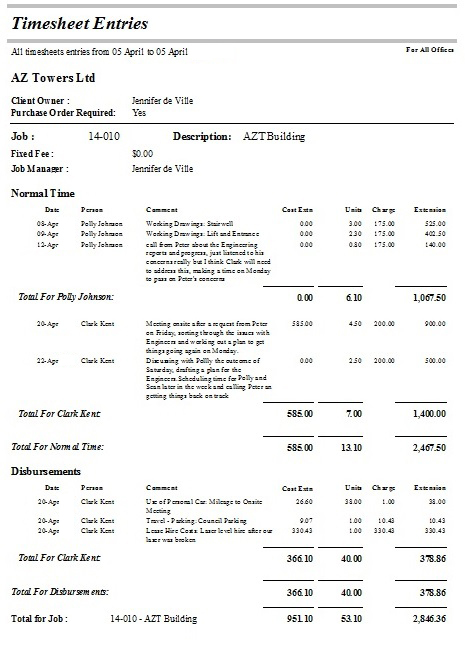 Tick “Display Task”, “Display Activities”, and “Show Task then Activity” to group the timesheet entries by specific job/project tasks. This option must be selected when running the reports marked with an asterisk(*) below. 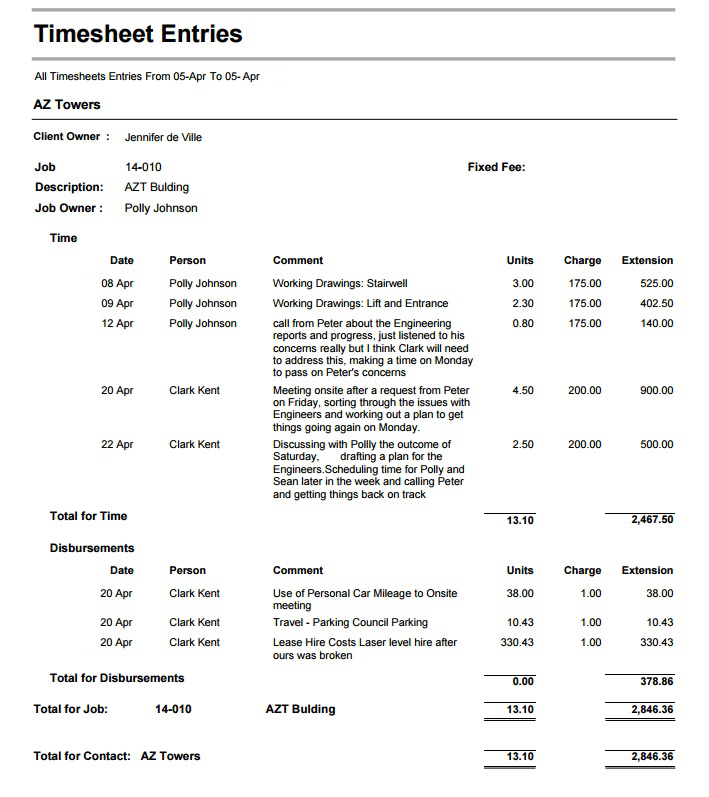 Tick “Show Invoicing History” to display invoice details and whether they have been paid. This option should only be run for a selected client and job – rather than for all. 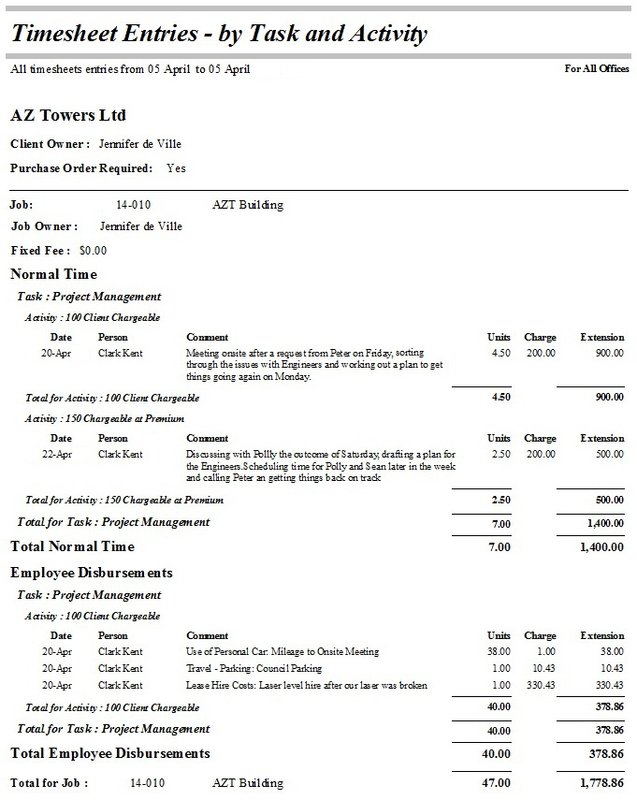 In Abtrac 5 this report can be sorted by Employee or Date, and you can also choose to show Charge or Cost rates. 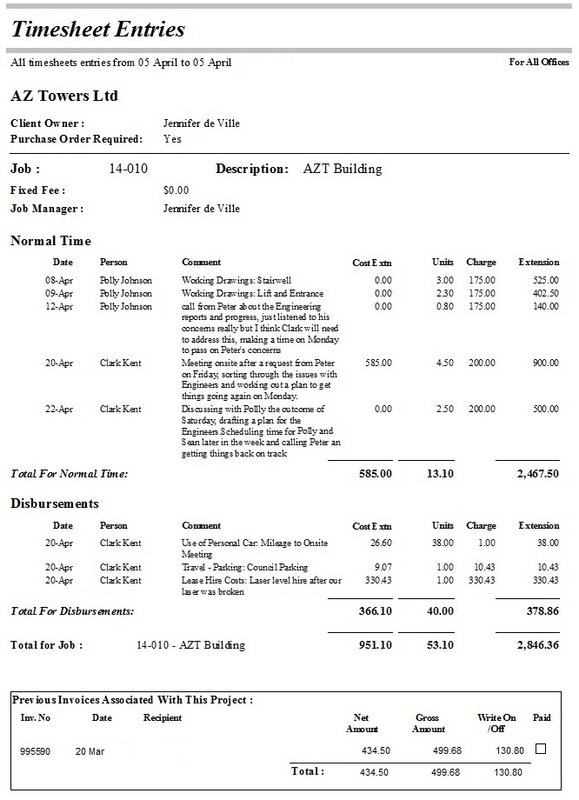 This entry was posted in Performance Reports, Time & Cost and tagged disbursements, Prebilling reports, reports, timesheet, WIP by Jen. Bookmark the permalink.